That said, the Tesla Model 3 didn’t account for the majority of answers, demonstrating that the electric car market is broad and goes far beyond the Model 3. Delving into the less desired models is perhaps more interesting than dwelling on the Model 3’s dominance, since they get much less attention but are still cars that many consumers are eager to place in their garages. As with our first two EV owner reports, one thing that stands out is how loyal many consumers are to the brands and models they are currently driving. Many Volt drivers plan to get a Bolt, many LEAF drivers plan to get another LEAF, and many Tesla drivers are filling out their family fleets with other Tesla models or are upgrading to the latest and greatest versions of the Tesla vehicles they already have. 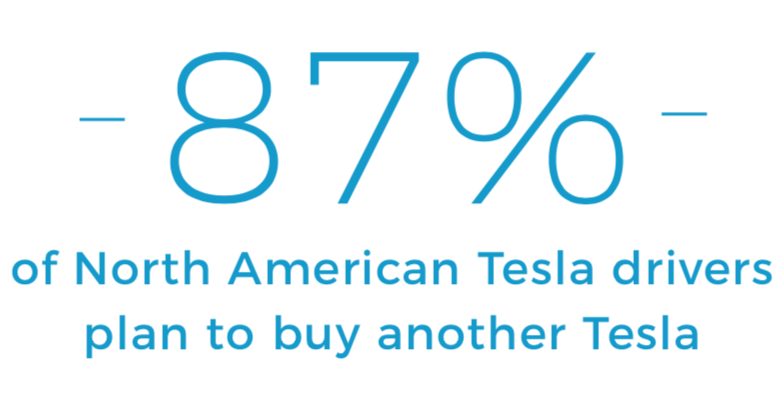 For example, 87% of North American Tesla drivers plan to buy another Tesla next, and that is without removing several respondents who said they didn’t intend to buy another car or had no idea what their next car would be. More specifically, 33% of them intended to get a Model 3, 17% a Model Y, 17% a Model S, 16% a Model X, and several even wrote in “Tesla Roadster” or “Tesla Pickup” since those vehicles weren’t on the list of options. In Europe, the figure was 83%, with 34% choosing the Model 3, 28% the Model S, 13% the Model Y, 8% the Model Y, and 2% the next Roadster. 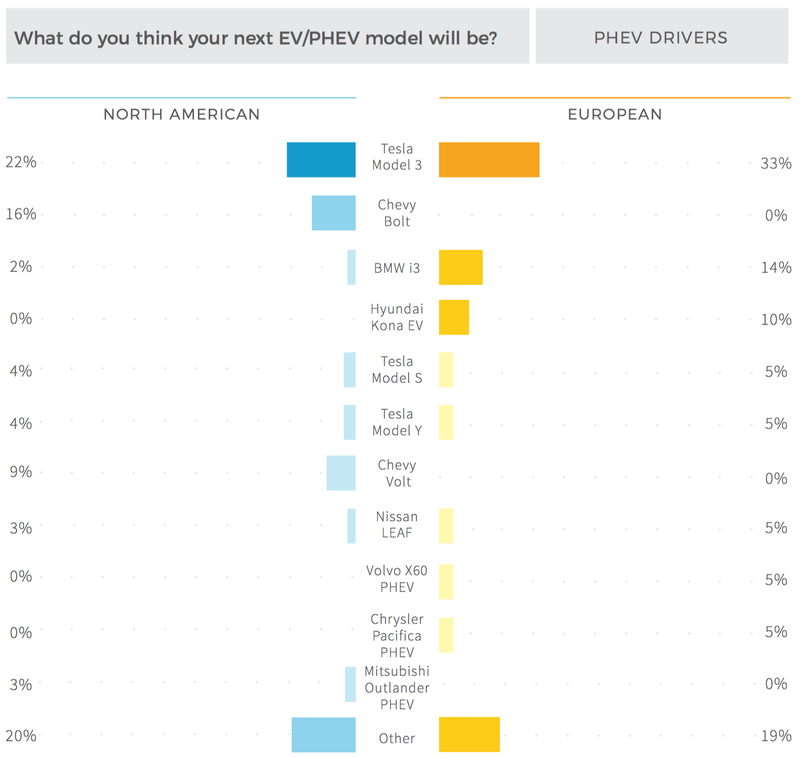 Back to North America, where 60% of plug-in hybrid respondents said they drive a Chevy Volt, the Tesla Model 3 still won the race for next EV purchase, landing 22% of responses. However, GM models took the next two podium positions, with 16% of respondents planning to buy a Chevy Bolt EV next and 9% a Chevy Volt. The Tesla Model S and Tesla Model Y each scored 4% while the Nissan LEAF and Mitsubishi Outlander PHEV each pulled in 3%. Beyond those options, the remaining responses were spread across several models, and there were again a number of respondents who simply didn’t have a guess about what they’d buy next or didn’t intend to buy another car at all. Regarding pure electric cars, 30% of North American respondents had a Tesla (meaning 70% had something other than a Tesla) and 29% of European respondents had a Tesla. 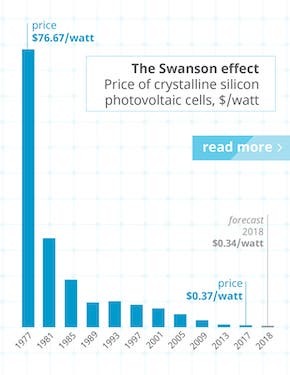 In other words, the Tesla-to-non-Tesla split was almost identical. 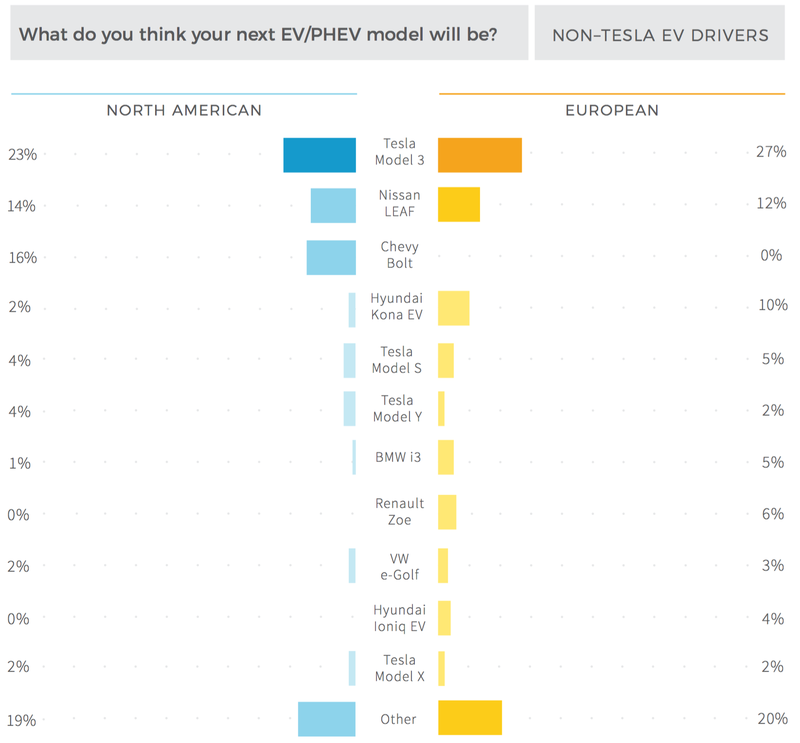 Yet again, this category of drivers expected to buy a Tesla Model 3 next more than any other EV, but the hottest EV on the market pulled in only a quarter or so of responses (23% in North America and 27% in Europe). In North America, another 4% intended to get a Model S next and 4% a Model Y, but the more popular choices for these respondents’ next electric cars were the Chevy Bolt (16%) and Nissan LEAF (14%). In Europe, other high-demand electric cars included the Nissan LEAF (12%), Hyundai Kona EV (10%), Renault Zoe (6%), BMW i3 (5%), Tesla Model S (5%), and Hyundai Ioniq EV (4%). 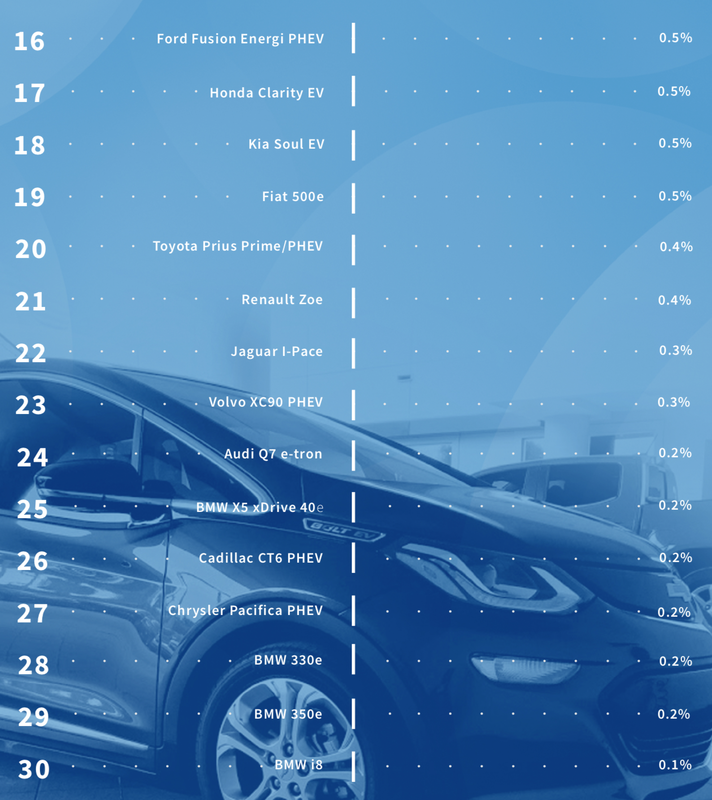 The following chart provides an overview of the most popular models for respondents’ expected next EV, broken down by the 6 distinct EV driver groups. There is also one chart for all responses combined, but just displaying the top 30 models. 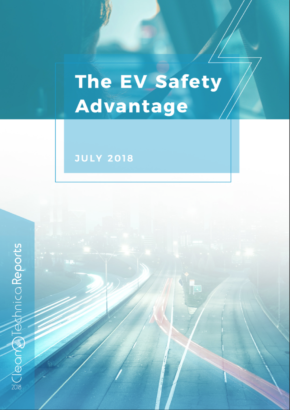 New to this year’s edition of the report, we also surveyed non-EV drivers. 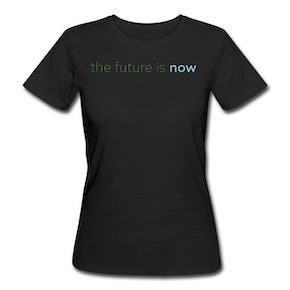 We were very curious how their responses regarding their future electric car (or cars) compared to responses from EV drivers. Note that these respondents were able to choose more than one model, which presumably led some of them to include multiple top options for a single purchase while also allowing some respondents who did intend to buy more than one EV the ability to select all of their expected purchases. 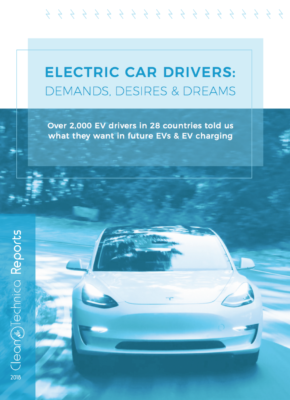 In Europe, a whopping 59% of respondents expected to buy a Tesla Model 3, an impressive 40% expected to buy the Nissan LEAF (presumably boosted by a longer range version of the car expected next year), 22% expected to buy the Hyundai Ioniq EV, 21% expected to buy a Renault Zoe (currently Europe’s top selling electric car), 15% expected to by a Tesla Model S, 15% expected to buy a VW e-Golf, 12% expected to buy the Hyundai Kona EV (not yet on the market), 11% expected to buy the BMW i3, 11% expected to buy the Open Ampera-e, and 10% expected to buy a Tesla Model Y (a car that hasn’t even been shown yet). In North America, the results were similar, but with some notable differences due to vehicle availability. 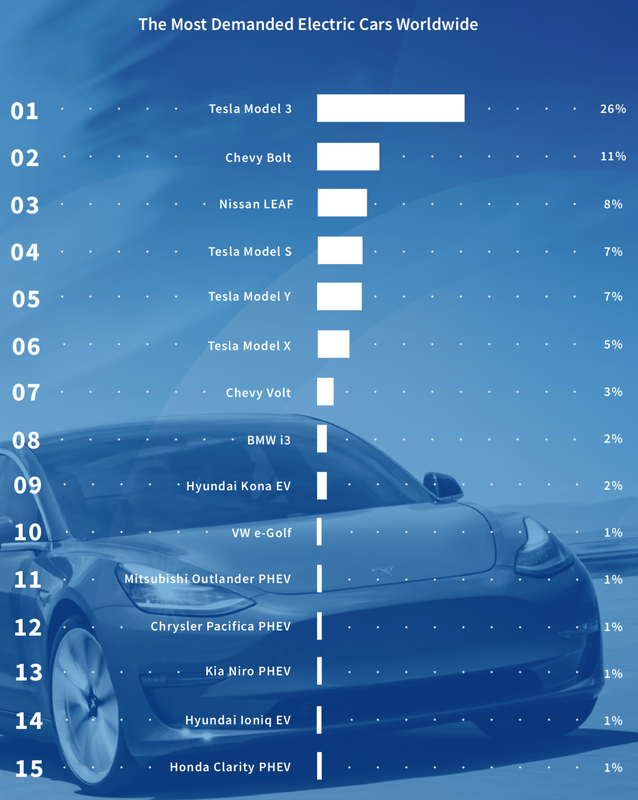 The top models were the Tesla Model 3 (58%), Chevy Bolt (34%), Nissan LEAF (32%), Chevy Volt (18%), Tesla Model S (15%), and again Tesla Model Y (14%). That’s right, not as many models rose above the 10% marker, but that’s in good part because of how diversified responses were for this segment. 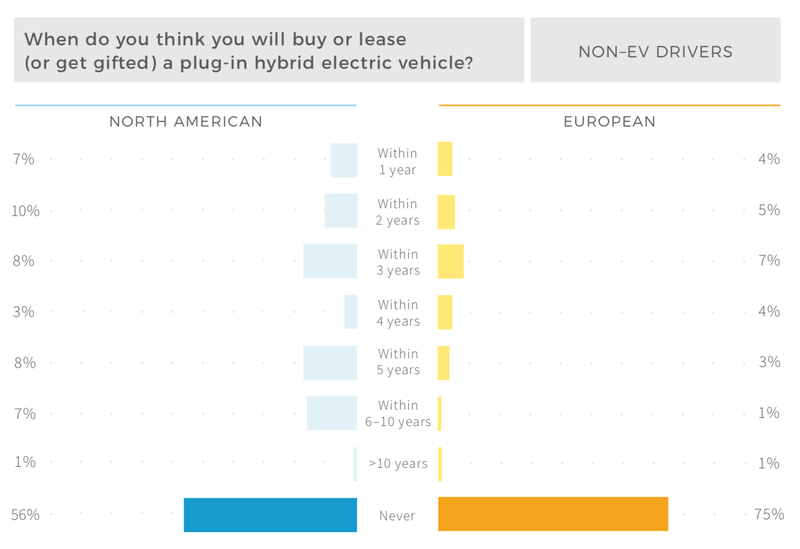 In terms of when they expected to “go electric,” 60% of European respondents expected to do so within the next 3 years while 57% of North American respondents expected to do so in the next 3 years. To learn more, check out our full 2018 electric car driver report: Electric Car Drivers: Demands, Desires & Dreams.